The Reserve Bank today permitted startups to raise external commercial borrowings (ECBs) of up to USD 3 million in a financial year, a move aimed at boosting innovation and promoting job creation. "The borrowing should be denominated in any freely convertible currency or in Indian Rupees (INR) or a combination thereof. "In case of borrowing in INR, the non-resident lender, should mobilise INR through swaps/outright sale undertaken through bank in India," the RBI said while issuing norms for ECB route for startups. The borrowing per startup will be limited to USD 3 million or equivalent per financial year either in Indian rupee or any convertible foreign currency or a combination of both, it said. The borrowing, RBI added, can be in the form of loans or non-convertible, optionally convertible or partially convertible preference shares and the minimum average maturity period will be 3 years. ECBs can be raised from a country which is either a member of Financial Action Task Force (FATF) or FATF-Style Regional Bodies. 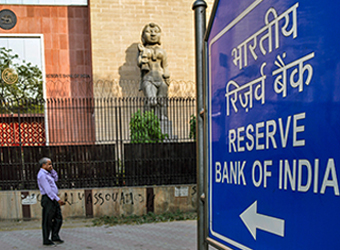 However, overseas branches and subsidiaries of Indian banks and overseas wholly owned subsidiary or joint venture of an Indian company will not be considered as recognised lenders, the RBI added. In January, Prime Minister Narendra Modi had unveiled a slew of incentives for them including tax holiday, inspector raj-free regime, capital gains tax exemption and Rs 10,000 crore corpus to provide funds. Government has also relaxed procurement norms for them.